KAMPALA – Security operatives on Friday morning dumped Mityana Municipality Member of Parliament Francis Zaake at Rubaga Hospital in Kampala. Pictures of the terribly beaten Zaake emerged on social media on Wednesday but his whereabouts remained unknown until today. 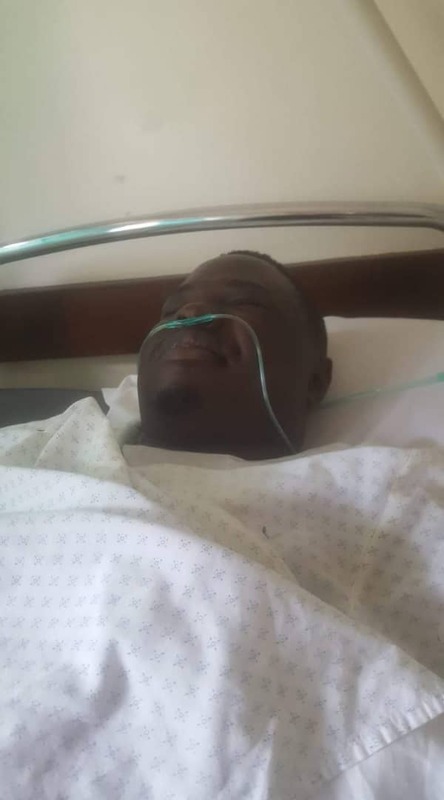 However, according to Makindye West MP Allan Ssewanyana, he is now at Rubaga Hospital in critical condition. Writing on his Facebook page, Ssewanyana says that he saw Mr Zaake being stitched by doctors. Mr Zaake was among the 33 people arrested on Monday evening following the violence in Arua Town that led to the shooting of singer Bobi Wine’s driver, Yasin Kawuma. He alongside MPs Gerald Karuhanga and Paul Mwiru were campaigning for Kassiano Wadri, who won the Wednesday by-election, replacing slain Ibrahim Abiriga. Zaake was on Thursday not brought to Gulu Magistrate’s Court as the rest who were charged with treason and remanded.